Join us for first in the series BLOCKCHAIN: ASK ME ANYTHING with Jae Yang to learn the technology basics behind Blockchain & Cryptocurrencies. The first session will cover basics of the technology behind blockchain and cryptocurrencies. This session will help you understand cryptocurrency payments and settlements. We'll cover how cryptocurrencies work, highlighting strengths as well as major weaknesses and potential risks. The first session will also cover major differences between some of the top cryptocurrencies; the difference between Bitcoin, Ethereum, Litecoin, and others like Monero. You will walk away with sufficient technical background to dive deeper on your own and to better know what you don't know. This will be a highly interactive Q&A format so you can ask your questions as they arise. Jae Yang, Blockchain Engineer Metal Pay Jae started out as an aerospace engineer. He is passionate about cryptocurrencies and blockchain technology He is active in the cryptocurrency community, often explaining technical details to newcomers. Most recently, Jae worked for Samsung SmartThings, helping the company setup various microservices. 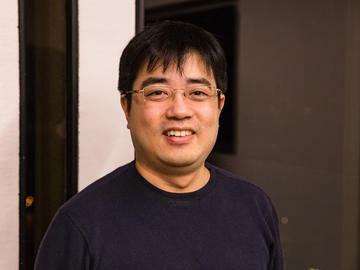 In his spare time, Jae develops various open source software in Node.js and is an avid reader.